Popular during Victorian times, wicker has a nostalgic, romantic appeal today. Wicker furniture is made from hard woven plant fibers such as willow switches, rattan stalks, or straw reeds, which are usually attached to a stiffer frame. Rattan, which is native to Southeast Asia, is a climbing plant that can be bent without breaking; it is the most common material used in the manufacture of wicker furniture. 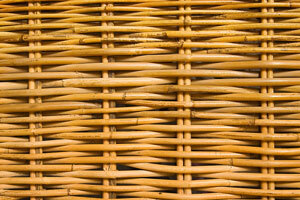 There are several hundred species of rattan, all of which have fibrous stalks with a hard coating. Rattan is vine-like; it can grow 500 to 600 feet in length without being more than an inch and a half in diameter! The outer surface is called the "cane" and the inner core is called the "reed." The reed can be stained or painted any color, whereas the cane cannot be. How is rattan transformed from a vine-like plant into stylish rattan furniture? After rattan is harvested, its leaves are removed. The result is a highly polished, jointed cane. This cane is cut into varying length canes that are used by wicker furniture makers. 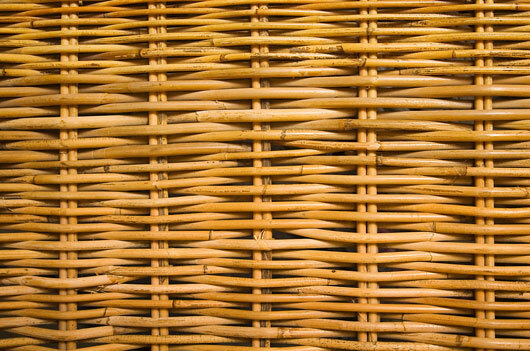 Other materials used in the manufacture of "wicker" furniture include willow, raffia, and fiber. Each material has pros and cons. Willow is highly flexible yet easy to stain, while raffia is tough. Fiber, which is made of machine-twisted paper, is soft and pliable yet strong, as the fiber is generally wound around a wire center. 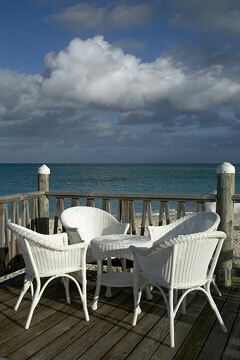 Rush, seagrass, and prairie grass have also been used in the manufacture of wicker furniture. In many cases, wicker furniture is fabricated from more than one of these materials. There is also an entire industry devoted to the manufacture of wicker furniture using synthetic materials, which can often enhance the furniture's strength and improve its waterproof properties. Wicker furniture has many benefits, including the fact that it is strong, lightweight, and relatively inexpensive to make. With proper care and treatment it can be used indoors as well as outdoors on a patio. Cushions may be used to add comfort to wicker chairs and couches. The ease of manufacturing wicker and wicker substitutes gave rise to the creation of planters, chests, lamps, shelves, and many other forms of this type of furniture, in addition to standard table and chair varieties. The Wakefield Rattan Company began manufacturing wicker furniture in the United States began during the mid 19th century. Wakefield later merged with the Heywood Company to become the Heywood-Wakefield furniture company. Wicker was also a popular furniture style in Europe, especially in England, where it was influenced by the Arts and Crafts movement. Wicker is lightweight but sturdy, and it requires little maintenance. 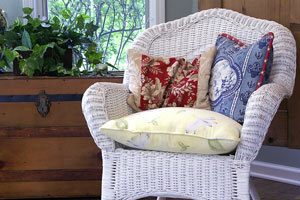 It is often used in sunrooms and family rooms where a casual, breezy style is desired. Natural wicker furniture can even be found on porches where it is protected from the elements, and synthetic wicker is designed for all-weather, outdoor use. This producer of fine indoor and outdoor wicker furniture offers quality casual furniture in a diverse range of styles. This supplier of all weather wicker furniture and accessories features original designs ranging from traditional to contemporary. Located in Bernard, Maine, this shop offers a wide selection of antique wicker furniture. 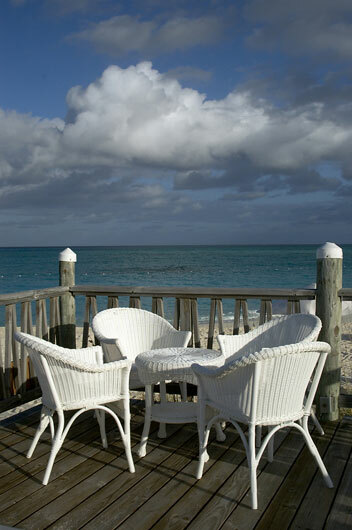 New Jersey-based importer and distributor of quality wicker and rattan furniture. New Jersey dealer offers indoor and outdoor wicker, rattan, teak, and aluminum furniture. Since 1984, this North Carolina firm has been offering stylish wicker and rattan home furnishings. Find resources and information on wicker, caning, and baskets. Indonesian rattan furniture manufacturer and exporter. Learn about the history of Cyrus Wakefield and his contributions to wicker and rattan furniture design.